Lee Hsien Loong’s Over Simplicity: Preschool, Anti-Diabetes, and Smart Nation. Once again, Lee Hsien Loong shows his short-sighted simplicity about his long-term plan for Singapore. In his National Day Message, he highlights 3 key issues for his action plan, namely preschool, diabetes and smart nation. It is a case of over simplicity. He believes he can cut short Singapore problems into preschool, diabetes and smart nation. The bigger problems, however, are education, healthcare and development. Preschool is just a part of education problems Singapore is facing. Diabetes can not run away from our under protected healthcare services. Smart nation can not be just machine smart. In total, all three issues touch on the level playing field, social mobility, poverty, inequality and most importantly, culture of help, mindset and social change. Lee Hsien Loong tries very hard to preserve the status quo, just like he wants to retain 38, Oxley Road or as reported, the estate of Lee Kuan Yew is not entitled to use or have copies of the oral history transcripts. He makes changes so to have conservation. Preschool, anti-diabetes, and smart nation are changes for Lee Hsien Loong’s conservation. However, these means of change serve only one purpose - continued conservation, or in a more prestige name - the Lee Kuan Yew Legacy/Founders’ Memorial. The Lee Hsien Loong’s short-sighted simplicity is to maintain a winner takes all economy. This model as experienced in the USA is facing its critical moment and threatens the capitalist system. 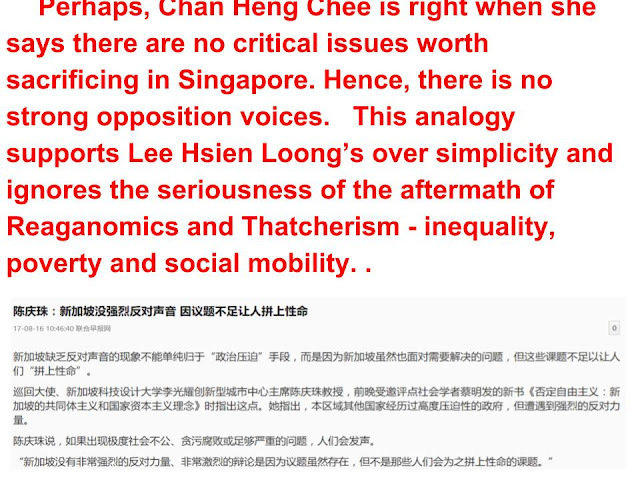 Singapore as a role model of Reaganomics and Thatcherism can not avoid the same ills - social mobility, inequality and poverty. They way we eat (hawkers centres), move (MRT breakdown), live (high HDB prices) are contributing factors to diabetes. These and the education demands translate into a stress level that our past conservative culture finds difficulty in coping. 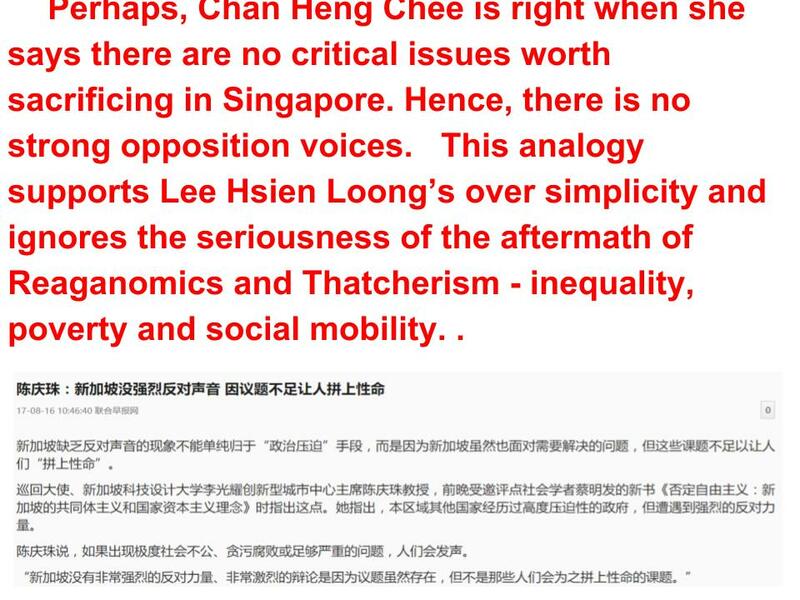 Referring to the smart nation development, Lee Hsien Loong will neglect the social mobility issue. When we decide to abandon dialects, we never consider the communication problem. When we are experience high economic growth, we fail to raise the pay of lower income workers. In order to make ‘winner takes all’ possible, we lower the tax rate and remove estate duty. Lee Hsien Loong’s Stupidity: Parliament Self-Defence, Presidential Controversy, Public Mistrust. It is a well planned stupidity. Whether the reserved presidential election or self-defence/self declaration of (non)abuse of power in parliament, these are all well planned strategies by top administrators in Singapore. 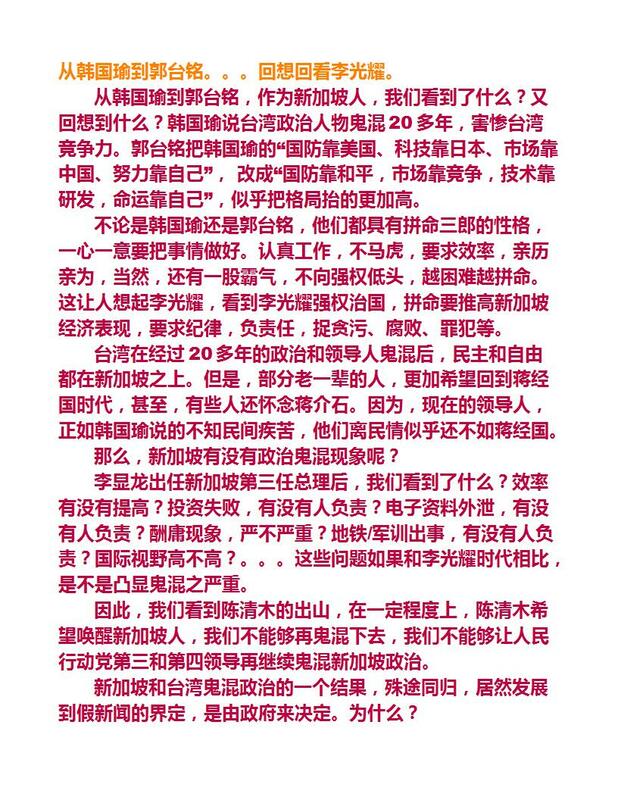 However, when we look at the outcome, perhaps, it is only a self-satisfaction of Lee Hsien Loong. Smart people do stupid things. In fact, it is a reflection of inner self with obvious ill intentions. So much so that it not only puts Singapore in a bad shape but creates internal and external confidence problems. There is only one proclaimed winner, putting own self interest above the nation. It is very surprise top advisers to Lee Hsien Loong have not studied or smart enough or dare enough to point out the stupidity - definition of first elected president, definition of “malay”, politics of kinship, appointment of attorney-general, …. Arguments put forward by Lee Hsien Loong and his advisers are far from convincing. There are full of holes which can only be filled by the authority of one-party state machinery. Lee Hsien Loong’s stupidity also exposes the quality of his top advisers and our top administrators. Are they under stress? Can they withhold the trust and principle of “without fear and favour”? Can they think and judge Independently? If not, it sad to see they are as stupid as Lee Hsien Loong. And is there a future for Singapore with such a leadership and teamwork? We are telling people; be it investors, businessmen, salary workers, or professionals; we are practising double standard. If you are my brothers, you are protected. If your racial status is not right, the government can make it right. We have a unique system to define who is first and who is second. However, if you are not happy, you can still file a lawsuit in Courts.